Who puts the tiger in the cat? 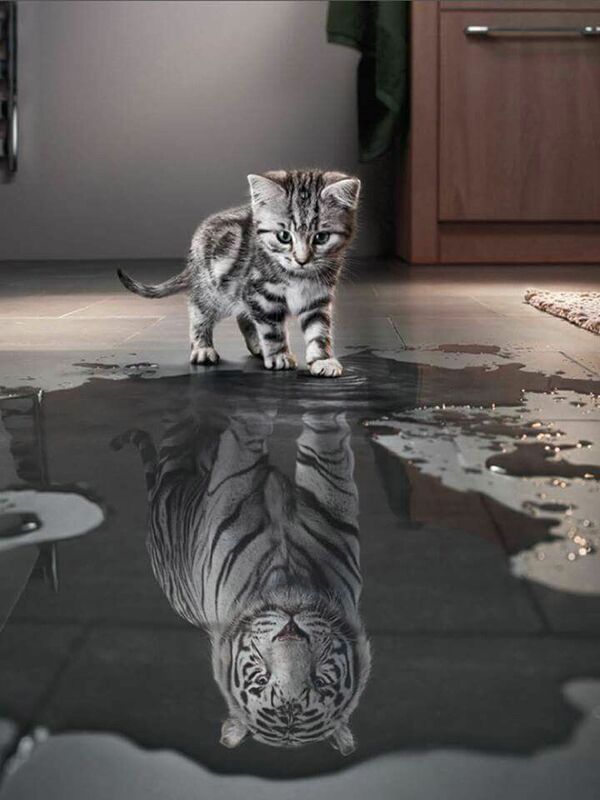 It matters how you see yourself. It matters a lot. I see so many people in our corporate world who have lost almost every ounce of self-worth and self-confidence, and that’s why I want to share another story from my insecure Magna days. I can remember so many times where I found myself questioning my value to the company. Looking back I know that Magna was lucky to have me but I didn’t see it back then. My English wasn’t great, I had to learn a lot of new things and there were people (who only speak one language) who made fun of my accent, my pronunciation and my lack of vocabulary. I felt fearful and insecure. I wanted to find a strategy to make myself feel better and I did. I look great and I feel great. I am smart and I am creative. My positive energy is contagious. I choose my thoughts to create my life. Every day in every way I get better and better. It is amazing what positive affirmations can do for you, your life and your self-worth. I share these affirmations with you because they helped me so much. Now you can go ahead and read them every day. How long would it take to create more peace and freedom in your life? Is it worth giving it a try? I truly hope that these affirmations will at least help you to crush all the insecurities and fears you encounter. I encourage you to program your mind because it is a pretty awesome feeling when you are in control. Be strategic in your approach and you will beat everyone who makes fun about you or who tries to put you down. Take this from someone who knows. Are you ready to be a tiger?